Before you have kids, the issue of safety is important when buying a car, but it might not be your top priority. That tends to change once you have a baby on board. And while some cars shine when it comes to safety for the youngest passengers, there are plenty of clunkers out there that can put your children – and you – at risk. Knowing what to avoid is just as important as knowing what to buy. If you’re on the market for a new car, keep your eye out for these problem vehicles. Some may look cool and others perfectly sturdy, but looks can be deceiving. Here’s what you need to know to keep your family safe. We tend to think that SUVs and crossover vehicles are overall safe bets for toting children around. They appear sturdy, aren’t too small – often a major point of vulnerability – and are typically advertised as able to handle getting banged around a little bit. 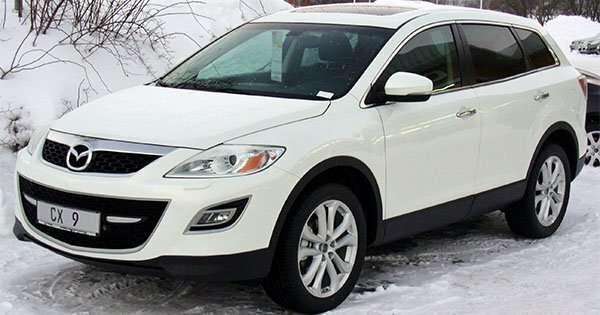 This may be true of most cars in this class, but the Mazda CX-9 is one to avoid. This car scored at the very bottom of its class in the Insurance Institute for Highway Safety’s (IIHS) crash test. In addition to the safety risks of driving a vehicle rated poorly in IIHS testing, you’ll pay a pretty penny for car insurance on these vehicles. Even if you’re a great driver, insurers know that minimal impact can be costly with these vehicles. Don’t pay through the nose for the privilege of riding in a dangerous vehicle. If a small SUV in the Mazda brand still appeals for you, the company is far from bad. Try the Mazda CX-5 instead. This car excels in IIHS testing and has numerous safety features, including blind-spot monitoring, an array of standard airbags, and additional brake supports. While the CX-9 is a safety disaster, the CX-5 is an all star. This is a car for the cool kids – but when we say kid, we don’t mean actual children. Sports cars are not designed with safety in mind; they’re about flash, style, and speed. 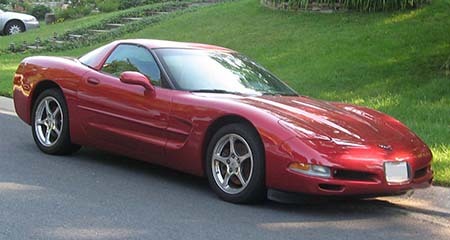 The Corvette may be a classic, but there’s a reason it’s usually shown on the test track and not shuttling kids to soccer games and chess club; Chevrolet knows families aren’t the main market for Corvettes. This advice goes for basically all sports cars – they aren’t designed for safety and you can tell from the insurance premiums. Car insurance for sports cars is pricey and babies cost enough without tacking on extra costs for the privilege of driving them around in a dangerous vanity vehicle. Hold off on buying the sports car until after you’ve retired and the kids are out of the picture. You don’t need to drive that fast to soccer practice anyway. The Honda Fit is quite popular these days with car buyers of all stripes – it’s small and affordable with good gas mileage, and with fewer stylish small cars available as the market shifts towards SUVs and crossovers, the look is appealing. Its safety ratings, on the other hand, are less appealing. 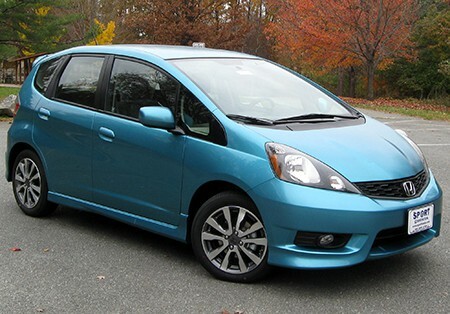 The Honda Fit does poorly in crash tests and certainly suffers for being small when paired against larger vehicles. Most parents also find it a little too small for hauling kids. The Fiat 500 has some of the same issues as the Honda Fit – small and attractive but not very safe. In fact, it may be in worse shape than the Fit, due to poor design. According to the IIHS, the passenger compartment’s structure puts riders at risk. Though it hasn’t been targeted for a safety recall yet, it isn’t a vehicle you should transport your children in. If the Fit and Fiat 500 appeal in size and fuel efficiency, consider a practical vehicle like the Toyota Camry hybrid instead. It may not be quite as stylish as the alternatives, but it’s one of the most affordable hybrids on the market with excellent safety ratings. Sometimes being a parent doesn’t always look cool, and that maxim holds for car buying. One of the most important child safety innovations in recent years has been the implementation of the LATCH system by car manufacturers. LATCH allows for simplified child safety seat installation, preventing many of the dangerous errors that can be caused by older installation systems. It would make sense, then, for minivans to lead the market in LATCH implementation since they’re some of the most popular family ferrying vehicles out there, but not all minivans stand out in this regard. 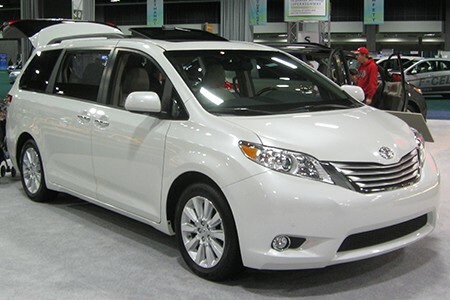 The IIHS marked down ten vehicles for poor LATCH implementation, including the Toyota Sienna. If you’ve got kids still in safety seats, you want to take advantage of LATCH’s safety perks – but you’ll have to look elsewhere. 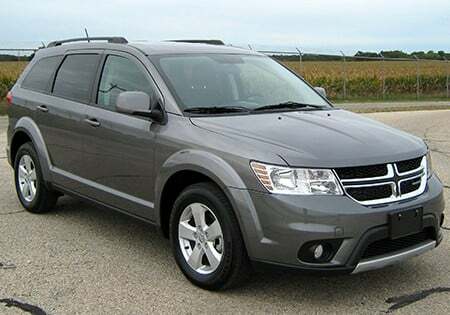 The Dodge Journey was rated poorly by the IIHS in this year’s round of crash tests, with findings indicating that the vehicle is structurally unsound, even at only mid-speed collisions. When the Journey encounters a barrier at 40 mph, the front vehicle panel can press as much as nine inches into the passenger compartment. The side curtain airbags also didn’t deploy during crash tests. Overall, the Journey poses a variety of dangers to passengers of all sizes and car insurance rates will likely reflect that. Instead of the Journey, consider the Ford Flex, which was ranked as a “Top Safety Pick Plus.” With none of the structural issues of the Journey, the Flex holds up remarkably in any car comparison. The four door Jeep Wrangler also does well among midsize vehicles, though not as well as the Flex, as its roof construction can pose a crush risk. When you’re a parent, the safety of your children comes first, and that mantra applies even more strongly when buying a car. This is why it’s important to compare cars before purchasing to make sure they stand out in regulated vehicle safety tests – and compare.com is here to help. Find out which cars are the safest cars of 2016. Feel free to use our online tools to compare car insurance rates for a variety of vehicles. Keeping your family safe is hard enough – comparing car insurance rates should be easy.